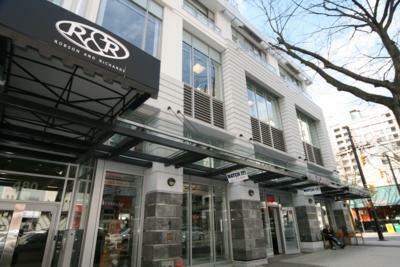 Welcome to this one bedroom executive suite at the R and R building on Robson Street. 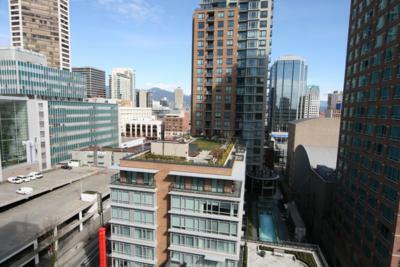 Be steps away from BC Place, Canada Hockey Place and the Press Centre! Live in the pulse of Vancouver on Robson Street with amenities at your doorstep and world class shopping just steps away. 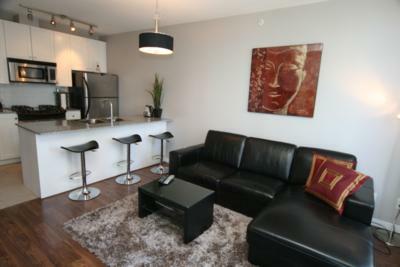 This well laid out unit at the R and R will ensure you enjoy the Olympic Experience to the fullest. 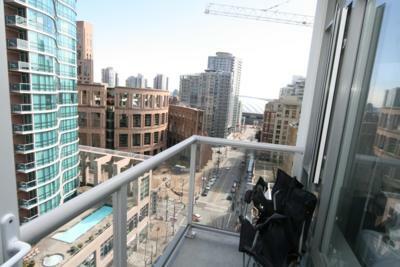 This one bedroom and den unit in a newer building offers a perfect layout, great closet space, high ceilings and a balcony overlooking BC Place and the famous Vancouver Public Library. 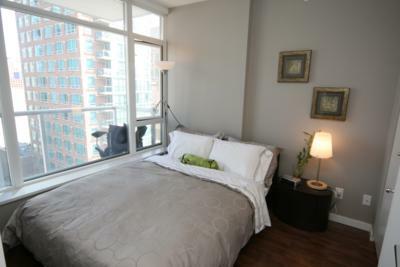 The condo is beautifully furnished - including a mounted 42 inch LG TV with HD PVR, leather sectional, patio furniture, designer paint, art, queen bed and much more! 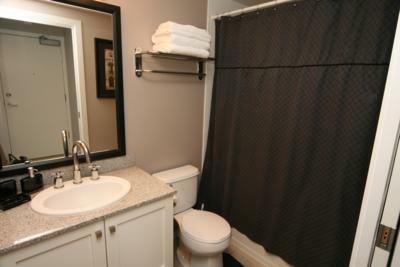 The unit also features brand new hard wood flooring, all new linens, new towels and a fully stocked kitchen! 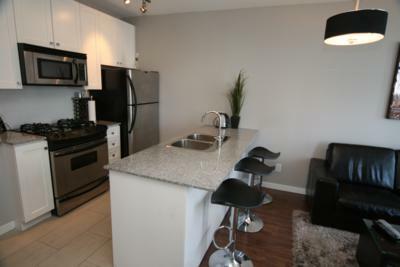 There are top of the line stainless steel appliances and granite countertops. 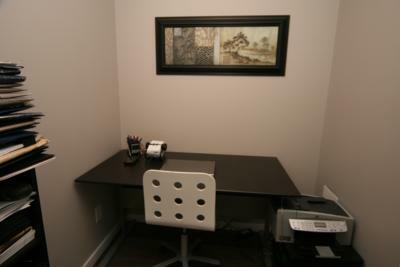 In-suite laundry, cable TV, and wireless internet come with this unit and the building features a fully-equipped fitness centre and 24 Hour Security. Secured parking plus visitor parking are also available and a Starbucks Coffee Shop is located just downstairs and you will find an IGA Supermarket across the street! 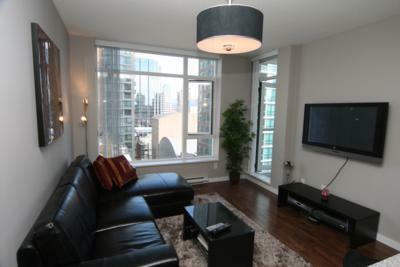 Enjoy the Robson Address with a great location in the heart of Vancouver City. 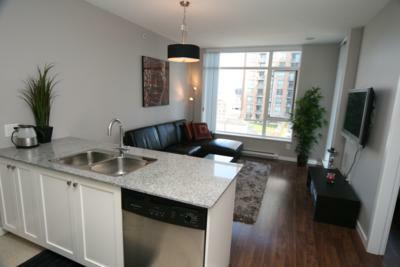 You are just steps away from the Pacific Center Shopping Mall, Skytrain, Yaletown, Vancouver's gorgeous Seawall, Sports Arenas, Financial District and Vancouver Nightlife! 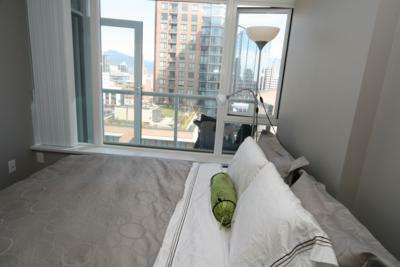 Experience Vancouver the way it's meant to be experienced!